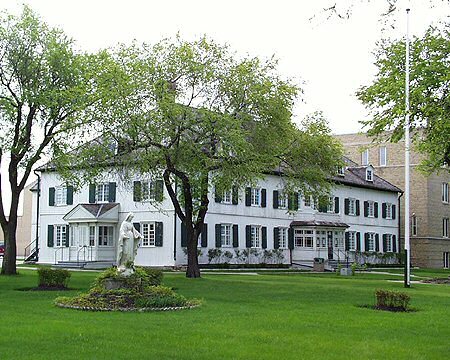 The old convent of the Grey Nuns, which today houses the St. Boniface Museum, was built between 1846 and 1851, and was constructed of white oak logs. 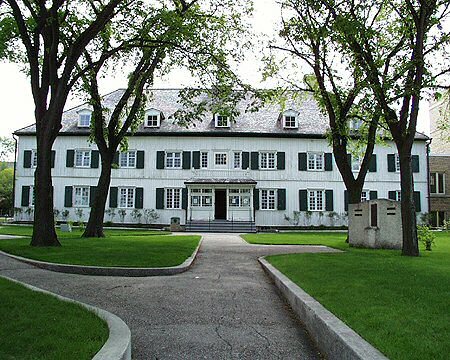 The result was a magnificent two-storey Red River frame building which skilfully combined the rectangular symmetrical plan and hipped roof adopted by the Hudson’s Bay Company for its settlement with French Canadian design influences introduced by its designer, L’Abbé Louis François Laflèche. 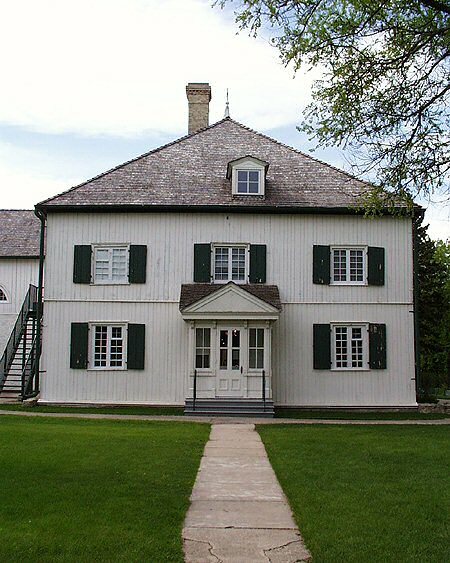 It is an outstanding example of early Red River frame construction and one of the oldest dwellings still in use in the Prairie Provinces. 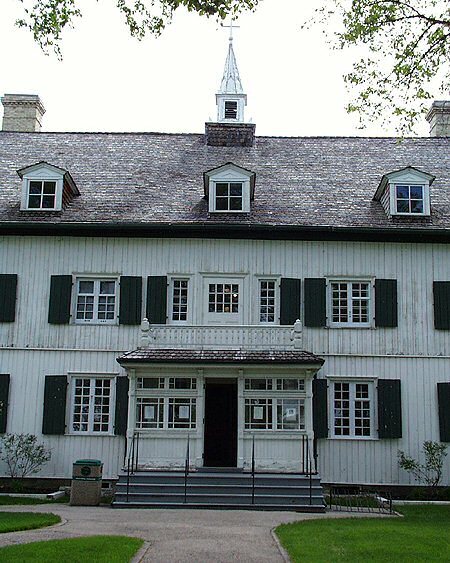 This is the oldest building in the City of Winnipeg and the largest oak log structure in North America.